35304 Avenue of the States Dr.
Any meal. Any time. Breakfast, lunch and dinner. 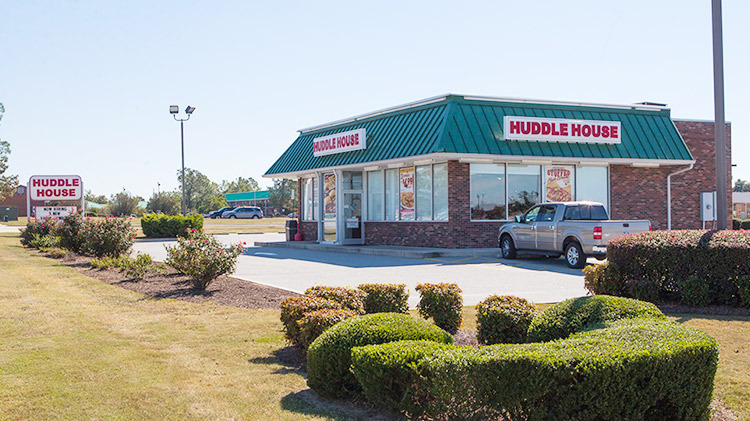 Huddle House is famous for serving guests "Any Meal. Any Time." Enjoy breakfast all day and night, like waffles, omelets, biscuits and gravy, grits and hash browns. Burgers, milkshakes, sandwiches and chicken wings are all-time favorites. It doesn't matter if the sun is up or down – get the meal you want, when you want it! Visit our Huddle House Website for the menu and information.